OK I am pretty much singularly a NARs devotee. You have to be delivering a pretty spectacular product to sway me. Enter Illamasqua, the cult British beauty brand dedicated to self-expression through make up art. Or so says the website. I don't know about that, but I do not that the lip colors are bold, coverage is smooth and there is a creamy matte consistency that I love. 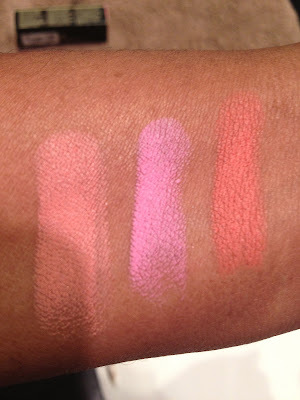 Illamasqua is not however for the faint of heart--the colors are intensely pigmented. If you prefer less intense color I recommend a gloss overlay. There are a range of colors to choose from...I gravitated toward the nudes, corals and reds because they work for me. I like the idea of these brights against the impending dark colors for the fall and winter seasons. A major haul happened at Sephora, tisk tisk. Here is peek at what I got. Lipsticks retail at $22. Oh, and I am officially obsessed. Stay Posh!